Have you ever wanted to visit the vast savanna? 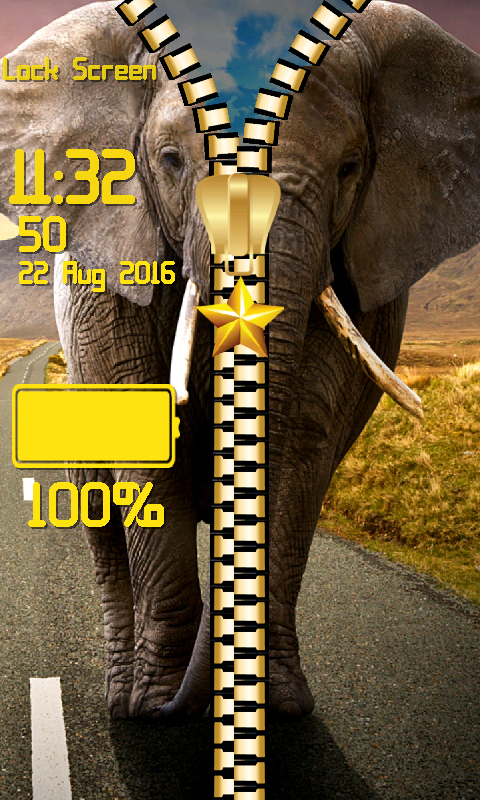 Download free the newest Elephant Zipper Lock Screen app and escape the city bustle at least virtually. The amazing photos will make you believe that you are observing the wild creature crossing the dusty road in the middle of the grassland. It looks astonishing and you will share this experience with all of your friends. 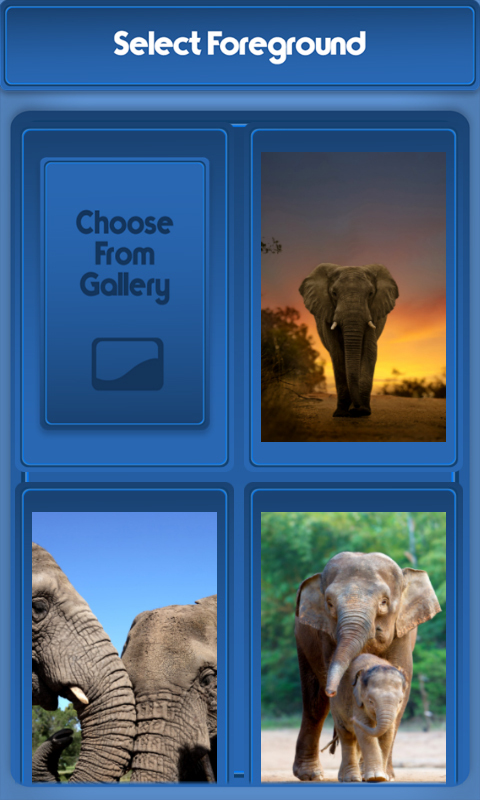 They will be thrilled with the top Elephant Zipper Lock Screen because it is not just the best protection but it also beautifies your phone in the magnificent way. 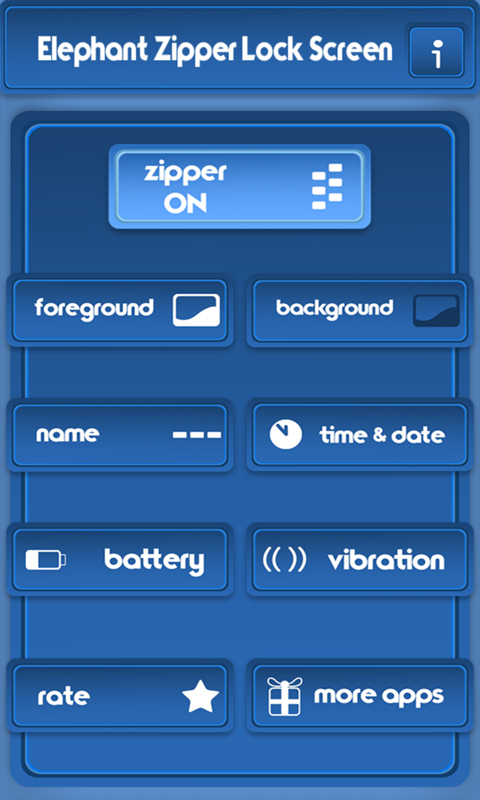 It has many features with which you can customize and it will look even prettier. 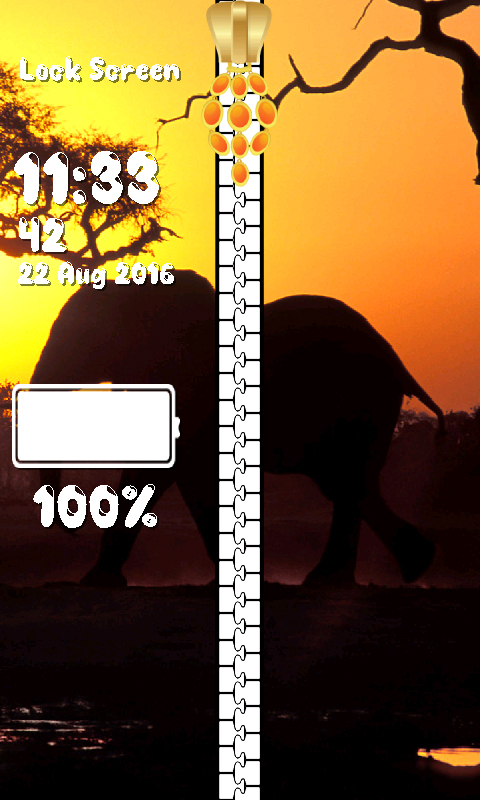 Adjust the font and the color of time and date to suit the picture that you have set as foreground. 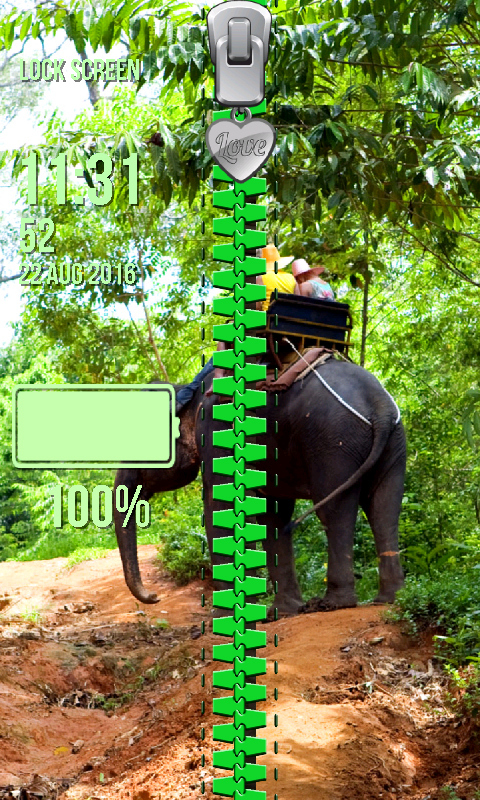 Before you apply all the adjustments tap preview to check out whether you like them. 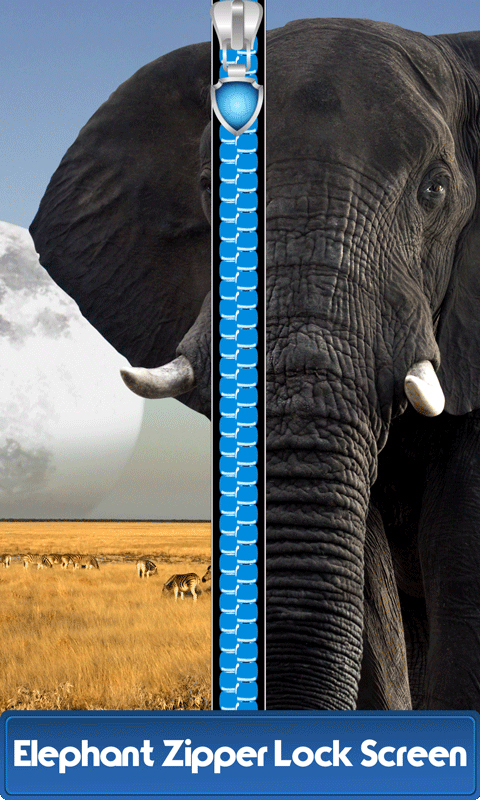 With the best Elephant Zipper Lock Screen you will get the feeling that you are near the hugest animal.